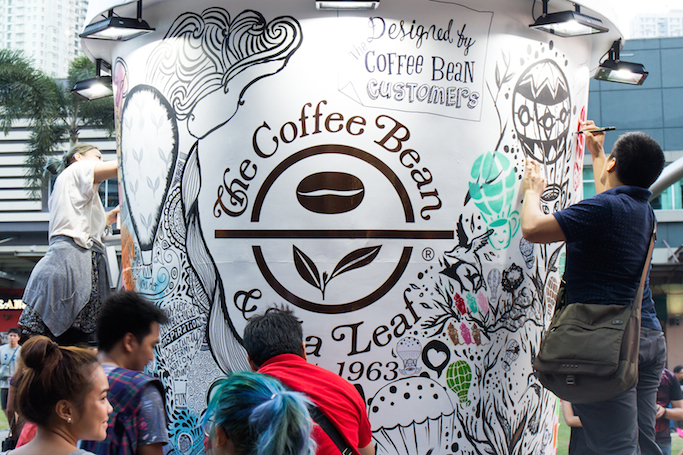 The Coffee Bean & Tea Leaf has always been advocating its patrons to brew their best year. In fact, their annual planner and gatherings are all about this! 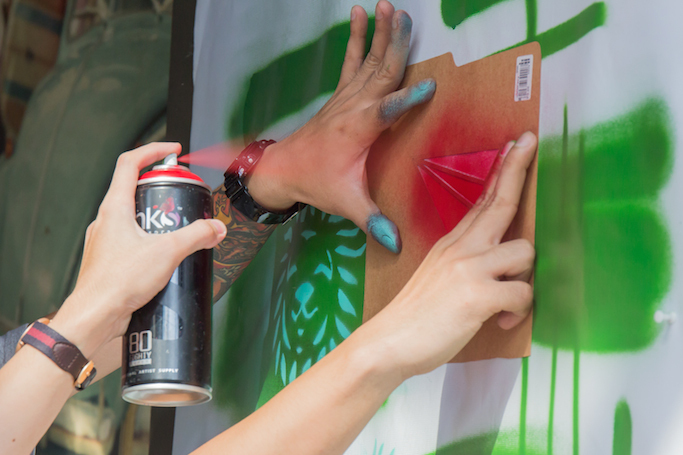 To explore this theme even more, the brand brought artists and customers together and organized a collaborative LIVE street art at the Bonifacio High Street in BGC. Here's what happened during this artsy afternoon! A giant Coffee Bean cup served as the blank canvass! Street Art 101. 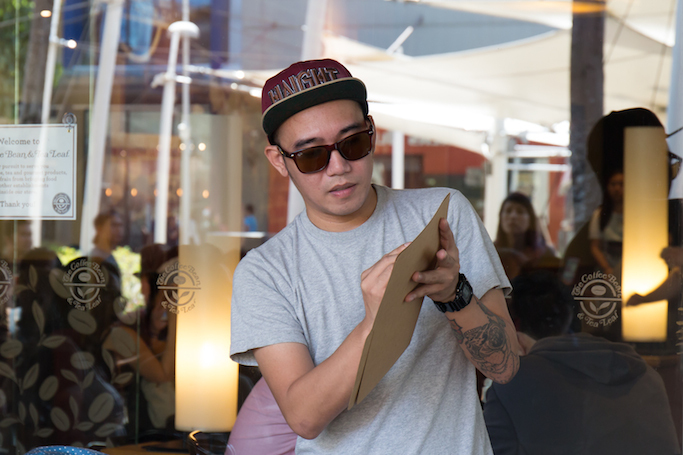 Before heading to the battlefield, CBTL of course made sure we learned graffiti and street art from the pro JJ Zamoranos or "Exldmanila". He is a known street artist part of the collective Pilipinas Street Plan and Hidden Fortress, who has been invited to grace walls in public art festivals around Asia! We were then grouped by teams, and planned our executions. The goal is to make everything spontaneous and let every individuality shine, but still look great as a whole! 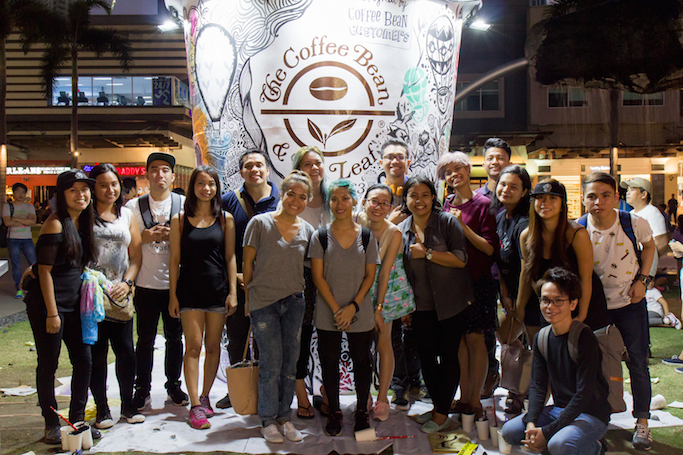 Different techniques were first shared with the participants- from spray paints, stencils, stickers, acrylics- before they applied their learnings by being a part of the team who created The Coffee Bean & Tea Leaf®’s very first public murals. Aside from BGC, they also had this in Cebu and Davao! After the planning comes the real work! We sat on our mats, ignored summer's intense heat, and worked on our project! A performer also entertained us with GV songs. It was a nice afternoon, and hope this isn't the last! My creative teammates. I am honored to have met artists, and actually work with them! Refreshments from Coffee Bean, of course! Thank you! Chin Chin doing what she does best: documenting the happenings! What is awesome! Congrats to Team Magdamag (Hehe) for accomplishing this! Special mention to my Beb Ava! I envy you guys for this, and yes I still hope to be part of something this big in the future! 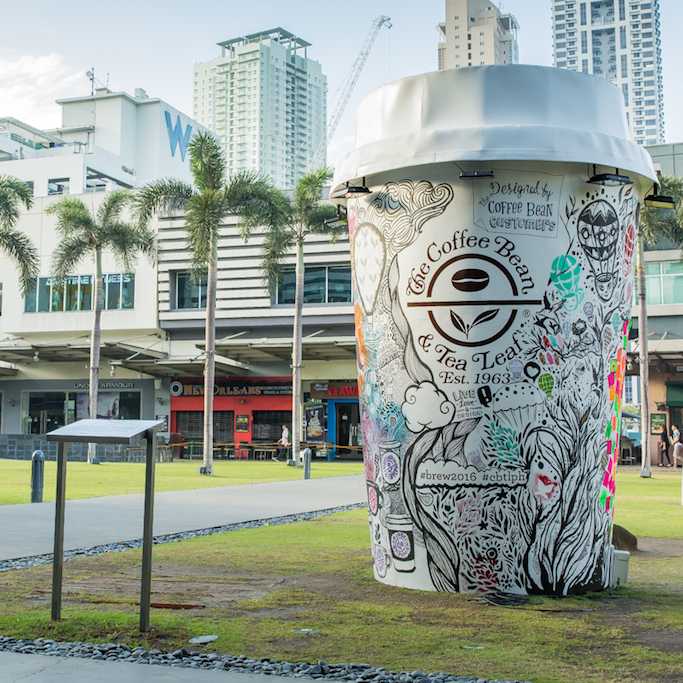 “We believe that life is one big canvas and through this activity, we wanted to encourage community members to make their lives their best masterpiece by using their gifts in the best ways they can,” shared Nella Lomotan and Kat Mendioro, Engagement Marketing of The Coffee Bean & Tea Leaf®. And because CBTL is proud of our work (I think so! 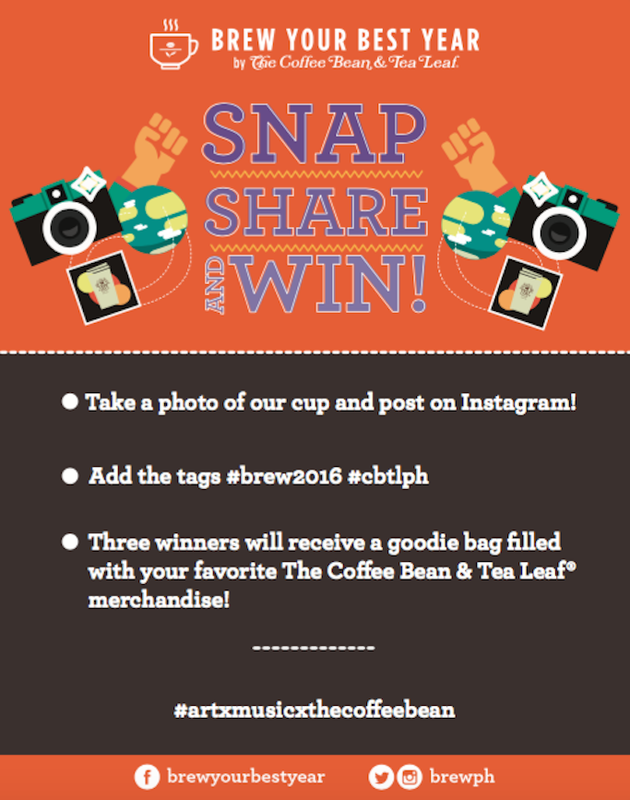 :)), here's a contest for you when you take a picture of the CBTL mural!